Concealer is always an essential product in my makeup routine. My dark eye circles are not playing around and they need intensive coverage. I've always been a fan of the MAC Pro Longwear Concealer as it had amazing coverage (been using it for the past 5 years, so you gotta know that it is good!). However, I do have some wrinkles under my eyes and the Pro Longwear concealer tend to settle in there as the formulation is pretty drying. So, I was on the lookout for another. 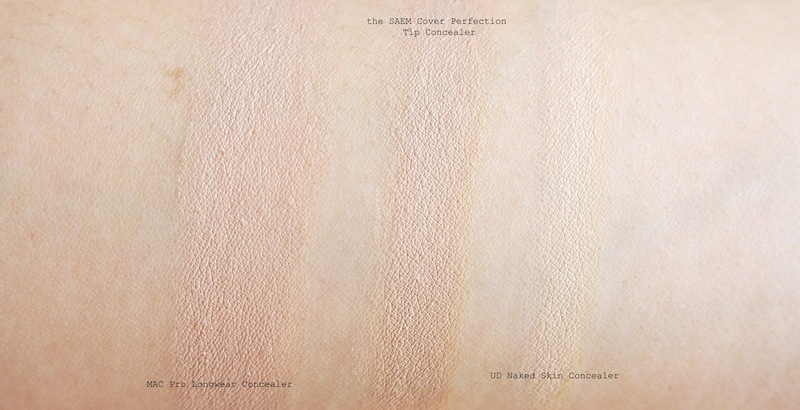 Before I discovered the SAEM Cover Perfection Tip Concealer, I was enjoying the Urban Decay Naked Skin Concealer as it is really lightweight and has great coverage as well. However, the shades available are either too light or dark so I've gotta put in some effort to work with it. Then, one day when I was exploring the Althea Korea site, I chanced upon this. Intrigued and of course the price was right - SGD$5. You know I gotta have it. To be honest, I have not encountered this brand before until Althea Korea, so I did not have high hopes for this concealer. If it didn't work, $5 ain't a heartbreak. But it does. And I might be adding this to my list of holy grails. Firstly, it comes in a typical cylindrical tube with a doe foot applicator. It is a pretty small tube, containing only 3.8g of product. I've never a fan of doe foot applicators as I feel that it absorbs too much product and dispenses too little. This ain't bad for this product though, and I will explain more later on. 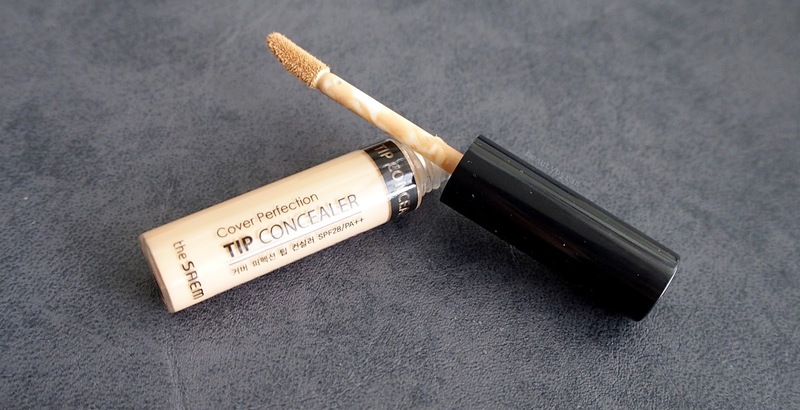 This concealer has a thicker and creamier texture than many I've tried. It feels slightly mousse-y and it is not fluid at all. The description was no lie at all, the coverage is amazingly good. I was extremely impressed when I first used this as one application alone covered my dark circles fully (it usually doesn't!). Comparing to my Mac Pro Longwear and UD Naked Skin, this concealer has better coverage. I know, I'm mindblown too. Due to its intense coverage, a little does go a long way. Thus, the doe foot doesn't affect me in the application as I do not have to constantly dip it back into the product for more layers. Additionally, the texture being creamy does prevent the doe foot applicator from absorbing too much product as well. I got mine in the shade #1.5 Natural Beige. This shade is a tad lighter than my NC20-25 skin right now but it is pretty close. Thus, I can use this both under my eyes and on my blemishes and acne scars as well. If I feel like a brighter undereye, I'll just dust some banana powder from my Australis AC On Tour Palette under them and voila. Formulation wise, this is pretty moisturising and it does work well under my crinkly undereye area. It does crease ever so slightly - but every concealer does that on me so no biggie. It lasted for about 10 hours on me and I was really pleased when I reached home at 10pm and saw that my concealer was still going strong. There were no patchiness or streaks. It did settle slightly into my wrinkles though, but after 10 hours, which concealer would not? Another aspect that I love is that it blends really easily on the skin. I usually put 3 dots under each eye (without redipping the applicator) and I blend it with my fingers. It takes no time to blend it in nicely and this is perfect for those rushed mornings! Now in terms of price, $5 is extremely affordable. Do note that you only get 3.8g of product! However, considering the price of my other favourites, this is still the most affordable! Ok, now looking at the table, I'm like damn gurl, the UD one ain't cheap. 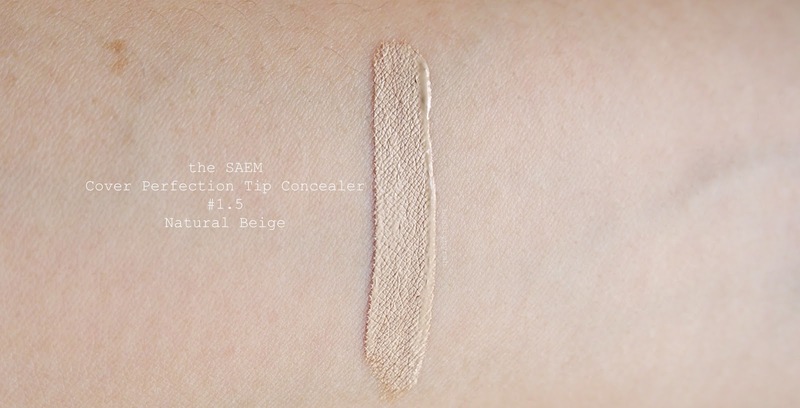 Overall, I am thoroughly enjoying this concealer (have been using this for the past 2 weeks straight!). I do highly recommend it to anyone. 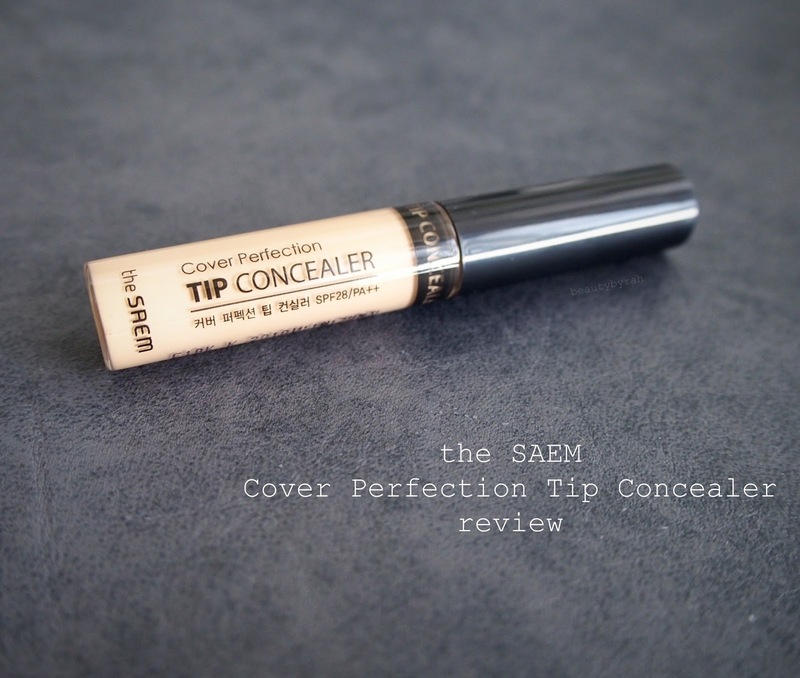 If you're looking for a full coverage concealer, this one is definitely worth a try, I tell ya. You can find it here. Hope this review was helpful in some way and thank you for dropping by! XO.